If you are dealing with the estate of someone who died owning assets in New Zealand you will know that it can be difficult to release the assets in New Zealand so that they can be sold or transferred to the beneficiaries. Your local solicitor will not usually be able to assist and may advise you that you will need to obtain a Grant of Probate in New Zealand or Re-seal the UK Grant of Probate in New Zealand. But what does this mean? What do you need to do in order for the New Zealand assets to be sold or transferred into the name of the beneficiaries? and is it difficult to Re-seal a Grant of Probate in New Zealand? If you are the executor or administrator of an estate of someone who owned assets in New Zealand, whether it is land/property in New Zealand, a New Zealand bank account or shares in a New Zealand company, we have provided some answers to our most Frequently Asked Questions to help guide you towards successfully finalising the New Zealand estate. I am dealing with the estate of someone who died with assets in New Zealand. What do I need to do? If a person from England and Wales (or another commonwealth country) dies owning assets located in New Zealand, the executor of their will, or the person entitled to sort out their their estate, is required to deal with these assets so that they can be passed on to the beneficiaries. To do this, the person dealing with the estate will usually need to either apply for a Grant of Probate in New Zealand or arrange to have the Grant of Probate from the country where the deceased person lived “recognised” in New Zealand. “Resealing the Grant of Probate” is the process of having the Grant of Probate from the country whether the deceased person lived recognised in New Zealand. If a Grant of Probate has already been obtained in another country such as England or Wales it is generally easier and more cost effective to get this Grant of Probate resealed in New Zealand rather than applying for a new Grant of Probate to be issued in New Zealand. If you need assistance with dealing with a estate administration where there are assets in New Zealand, contact Worldwide Lawyers on 01244 470339 or at info@worldwidelawyers.co.uk. We will be happy to put you in touch with a recommended lawyer in New Zealand who will be able to assist. Do you always need to obtain a resealed Grant of Probate to deal with assets in New Zealand? It depends on the value of the assets. If the asset is of a particularly low value a resealed Grant of Probate may not be required. You should contact the assets holder i.e the New Zealand bank or share registrar to find out what their specific requirements are and if they require a Resealed Grant of Probate in New Zealand. If the asset is a property in New Zealand, a New Zealand Grant of Probate or a resealed Grant of Probate will always be required. Will a Grant of Letters of Administration be recognised in New Zealand and can it be re-sealed? If the deceased person did not have a will when they died, the person entitled to deal with the estate will obtain a document called a Grant of Letters of Administration instead of a Grant of Probate. That document provides the person with the authority to deal with the estate. If there is a will that person will be known as an executor, if there is not a will they will be known as the administrator. Both a Grant of Probate and a Grant of Letters of Administration can be resealed in New Zealand. Do I need a lawyer in New Zealand to re-seal a Grant of Probate in New Zealand? 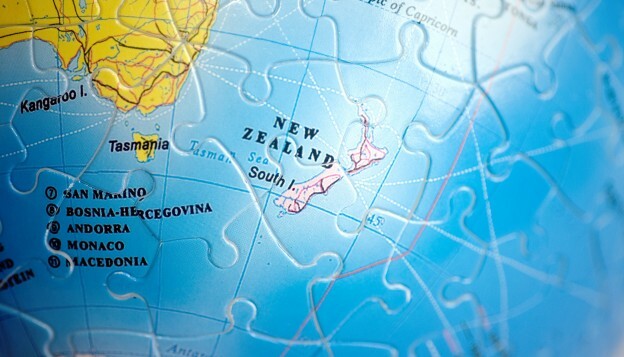 Obtaining a reseal in New Zealand of a Grant of Probate which has been obtained in another country requires an understanding of technical legal rules. The process will require compliance with various procedures and an application to the High Court of New Zealand. Most people dealing with an estate where there are assets in New Zealand will therefore need to instruct a lawyer in New Zealand who has experience of this process to reseal the Grant of Probate. A suitably qualified and experience New Zealand lawyer will be able to efficiently obtain the resealed Grant of Probate and enable you to deal with the New Zealand piece of the estate. They will also be able to arrange for the New Zealand assets to be sold or transferred to the beneficiaries in accordance with their wishes. If you are dealing with an estate administration where there are assets located in New Zealand , contact Worldwide Lawyers on 01244 470 339 or at info@worldwidelawyers.co.uk. We can put you in touch with a lawyer in New Zealand with experience of obtaining resealed Grants of Probate. Our recommended lawyers are also able to help you arrange for the assets located in New Zealand to be sold or transferred to the beneficiaries of the estate as required.